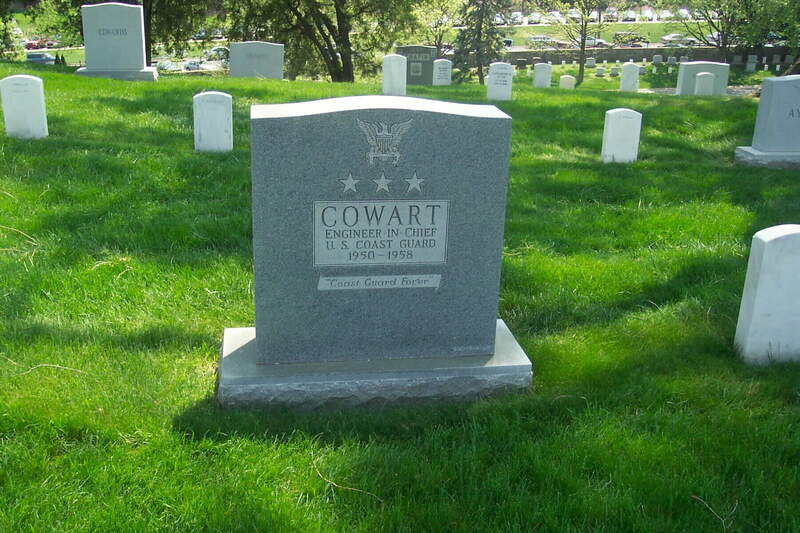 Interred at Arlington National Cemetery is Vice Admiral Kenneth K. Cowart, who served as the last Coast Guard Chief Engineer from 1950-1958 and was laid to rest March 14, 1996. His headstone says: "Coast Guard For'er." 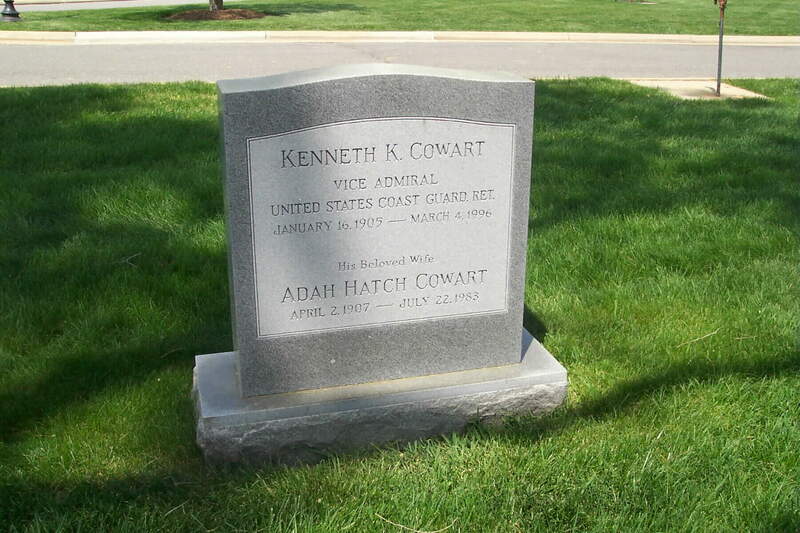 Buried alongside him is his wife, Adah Hatch Cowart.